They say that patience is a virtue. It indeed is. And patience is probably something that is never enough to possess. I have a soft corner for people who have loads of patience in their lives, for everything in their lives. Some people are named patience and some people are just the epitome of patience. Nowadays, it is too difficult to find patience in people. Patience has that magical effect that can make all the difficulties, restlessness and obstacle vanish. But we, somehow, don't really realize that. Do we? Patience has its own beauty. Patience has its own charm. Patience brings life on this earth. Have you ever got a chicken from an egg by smashing it? No. It is the patience of hatching for the right time. Patience is so underrated that we think that everything that is done forcefully is probably the right thing to do. So how does one define patience? Patience is the flutter of butterfly's wings. Patience is the silence of the prayers. Patience is the grace of the mountains. Patience is what you hide. Patience is probably the most simple human attribute, but still we are too complex by choice that we chose to overlook it and fail to understand it. But may be, some day.. So glad I found you - I'm really enjoying your poems! New follower here. I'm stopping by from the "A to Z" challenge, and I look forward to visiting again! Hi, I haven't heard back from you about the A to Z Challenge, but I just wanted to double check one last time in case you're planning on catching up! I don't want to remove anyone who's still interested in participating. Just let me know at hennesss @ gmail . com if you get the chance. Thanks! I really admire those who have a load of patience. Honestly in a world so fast paced and so challenging, it becomes really difficult to maintain one's patience and sanity all the time. 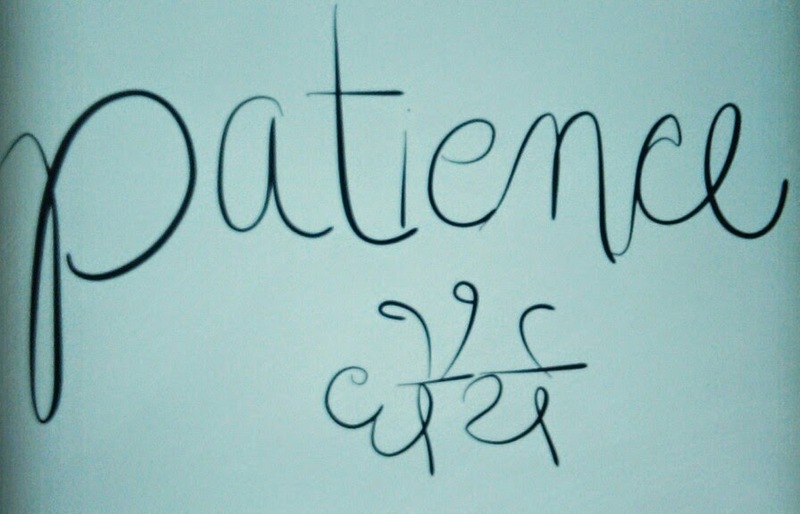 Yes, patience is my favourite virtue. Sadly, it is hard to find people with patience- patience to observe and admire.